Such a close, large, long term and extensive cooperation between a private company and academic researchers as is being embodied by ARCNL, has never been established before in the Netherlands. 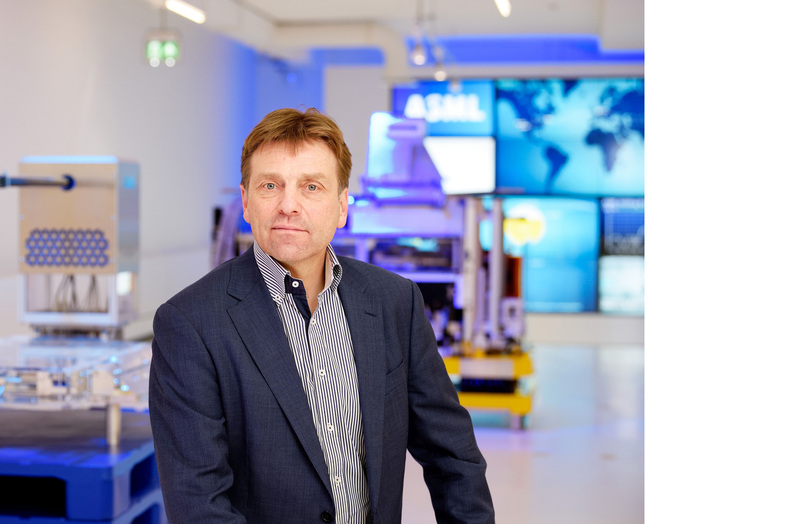 ‘That means we are pioneering, and continuously looking for the optimal balance between academic freedom and industrial relevance,’ says ASML Director of Research Wim van der Zande. How did you get involved in ARCNL? In what way does ARCNL supplement ASML’s own research? ‘The research at ARCNL has more of a “man on the moon” character: it has a longer horizon and enjoys more freedom. At the same time, all researchers at ARCNL are fully aware of the industrial context, which makes it different from the science being done at other academic institutions. Perhaps the main difference between us is that when we do research at ASML, the ultimate goal is to make something work. If it works, but we don’t fully understand why, then that’s enough – we are happy. As a scientist at ARCNL you have to go the extra mile to get a fundamental understanding of all processes. That way, you can hopefully discover something totally new – which eventually, in 10 years time perhaps, industrial researchers at ASML or elsewhere can use to develop products. What have you learnt over the past three years? What do you hope ARCNL will lead to? ‘There are three different aspects I would like to see. First and foremost, I hope we will be able to create a stable knowledge environment where it is natural to gather the brightest people to think about future challenges, whether they are employed by universities or by companies. Second, I hope that ARCNL will turn out to be a place where young, enthusiastic and smart people want to pursue a career, since it combines quality with ambition. And of course, I also hope to see some major breakthroughs in lithography. Wim van der Zande has been Director of Research at ASML since 2014 and is a member of the Integration group at ARCNL. Previously, he was full Professor of Physics at Radboud University.